On September 13, 1994, the U.S. Congress passed the ridiculous, obscene, ill-conceived, and meddling assault weapons ban. It had a sunset provision wherein it expired within ten years of passing the law (see also HR 3355). Enjoy the day as one of the better, more memorable celebrations in America. I intend to celebrate by enjoying the entertainment and studying the science of the shooting sports, which I have previously defined this way. 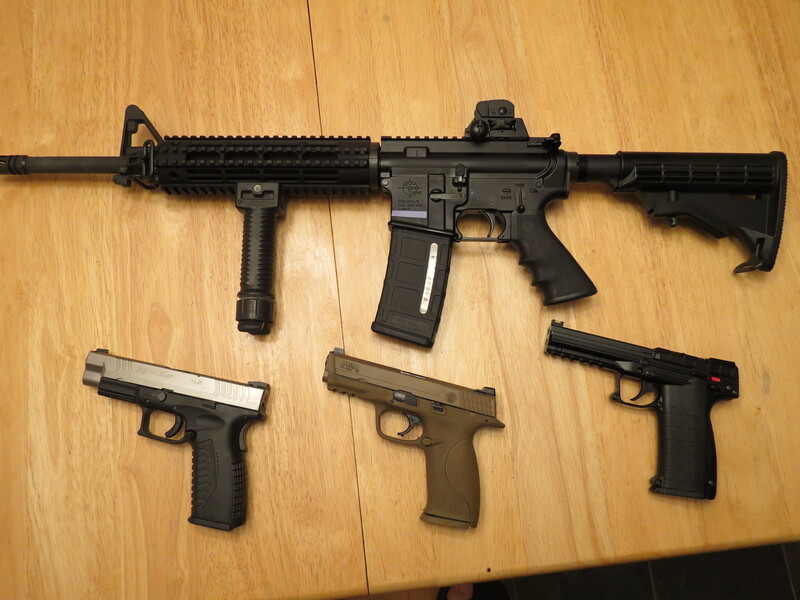 Here are some of the weapons we will enjoy and study this weekend. These would all be considered “assault weapons” under the ban. In the future, Congress is advised to stay out of our business. You are currently reading "Happy Assault Weapons Ban Sunset Provision Day! ", entry #9042 on The Captain's Journal. This article is filed under the category(s) AR-15s,Assault Weapon Ban,Firearms,Guns,High Capacity Magazines,Second Amendment and was published September 12th, 2012 by Herschel Smith.